New appointment to shine spotlight on order processing. Luna previously worked within the asbestos department of health and safety consultancy Marpal Ltd where she accompanied colleagues on building surveys and inspections. This enabled her to learn a lot about health and safety and fire risk assessment. She says her favourite aspects of her role was experiencing the different environments, the responsibility for ensuring everything has been accounted for and ensuring that companies were complying with regulations. Luna, who currently lives in Belper, is combining her role at Pellacraft with completing a Business Administration apprenticeship. Outside of work, Luna’s main passions are her love of training dogs and learning new languages. Luna is from Croatia and her family were originally from Hungary, so she has been raised in a bilingual family and says she has a natural gift for picking up languages very quickly. She says languages have made her explore fascinating new cultures and learn many new things. Luna also enjoys reading books, her favourite authors are Stephen King and Haruki Murakami. Luna has also organised fund raisers and awareness events for the MS society in Derby. Pellacraft welcome Luna to the team! The quality and efficiency of Pellacraft’s order processing is about to come under the spotlight following the appointment of Luna Marcius, who joins the company as an order processor. 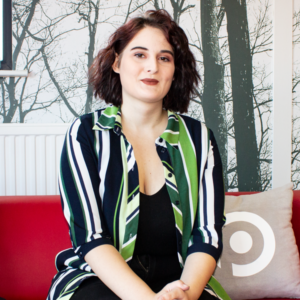 Here is some more background about Luna and how her previous experience and transferable skills makes her perfect fit for her role at Pellacraft.